Wednesday, 14 December 2005, at 4:13 p.m.
David Norden www.african-antiques.com www.buyafricanantiques.com African Art Antiques and Discussion Group. Well, I hope this email will reach those of you who are not yet spending all the money they have for under the tree. 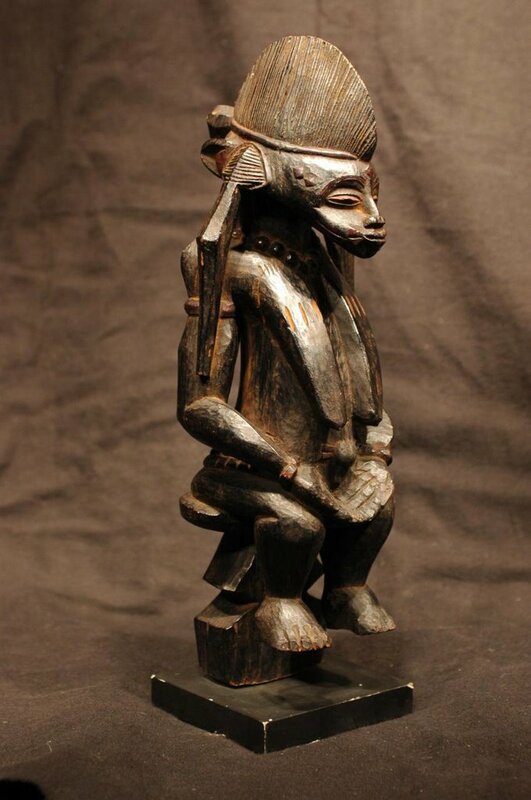 This month, we see that African art dealers are looking for new challenges to find clients. At Lineart in Gent, African art dealers where exhibiting among contemporary art. This is probably due to the fact that the old generation that likes antiques is not so active as before, and that the “moving money" is in the more contemporary art field. We all wish them good luck. At Lineart you could have seen also the pictures from Jean-Dominique Burton and the presentation of his book : “Naabas” Chefs Traditionnels du Burkina Faso ". http://www.buyafricanantiques.com/naabas-burkina-faso.htm For those interested in photography, I have a special offer only for the readers of this newsletter: A limited edition of 100 books with an original real picture of the cover image included for only €150. Send me a private mail if you need the subscription information and more details. 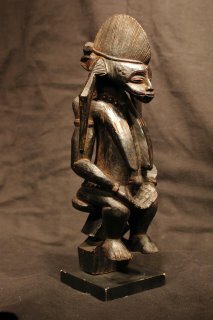 Protected African art can simply be bought in Antwerp. The power of female creativity courses through a small show of South African garments at the Axis Gallery in Manhattan. All but one piece was made by and for women of the Mfengu cultural group. Of several monochromatic skirts, some are white or beige-gray, and one is dyed a dusky ochre, a color associated with the earth, fertility and menstrual blood. In every case, the surfaces are ornamented with lines of beadwork, as fine and taut as compass needles. The minimalist painter Agnes Martin would have adored the elegant probity of this work and its message of strength in restraint. Africa speaks! Ubangi Explorer Paul Hoefler leads a safari into central Africa and what was called the Belgian Congo in 1930, into the regions inhabited by the Wassara and the famous Ubangi tribes. If you have a little time see this 1930 film !